Time for a new challenge at The Card Concept! Perfect how this challenge lined up for Father's Day! Any reason to use my Waltzingmouse stamps is a good reason. I used Ocean Bound and Man of the Hour to create a card for my Dad. My Dad loves anything to do with boating or water. I picked up the colours from the inspiration photo with navy and some silver embossing and then a bit of red just because. We hope that you join us for this challenge, looking forward to seeing what inspires you. So gorgeous! LOVING that ship!!!!! LOVE this, Tracey! That ship looks amazing embossed in silver! You're going to score some extra points with dad for this one Tracey!! Your silver ship is awesome! Fabulous, Tracey! The ship embossed in silver looks amazing! Stunning card and I do mean stunning card Tracey! This is so handsome, Tracey! Love the silver embossed ship. 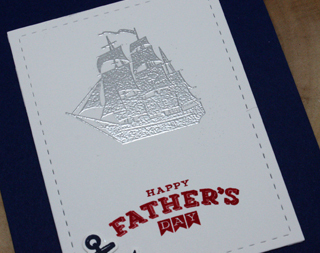 You remind me to use the silver embossing powder more...What handsome nautical card, Tracey! Love every detail in this one! Really stunning card, Tracey! I love that you embossed the ship in silver, and the pop of red is fabulous! Awesome masculine card!!! Love the red sentiment - it's perfect! Awesome father's day card. Love the colors and especially that silver ship. Such a classy card, love the silver embossed ship!! Love this Tracey, that embossed ship is a stand out! Tracey - love your embossed ship, the embossed stitch and CAS design. Thanks for your kind comment on my blog post - I inked the grid with soft graphite, then took off some ink with a tissue to soften the edges. 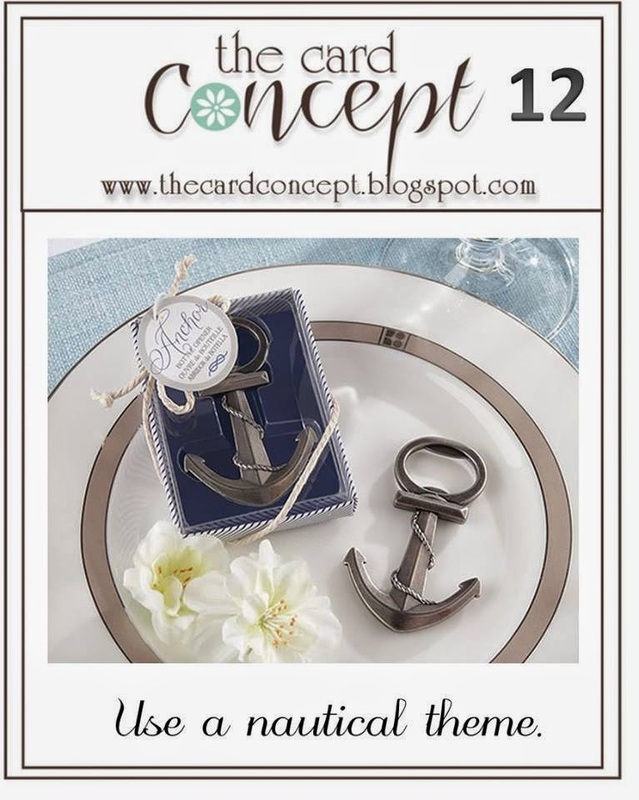 Oh I do so love nautical!! 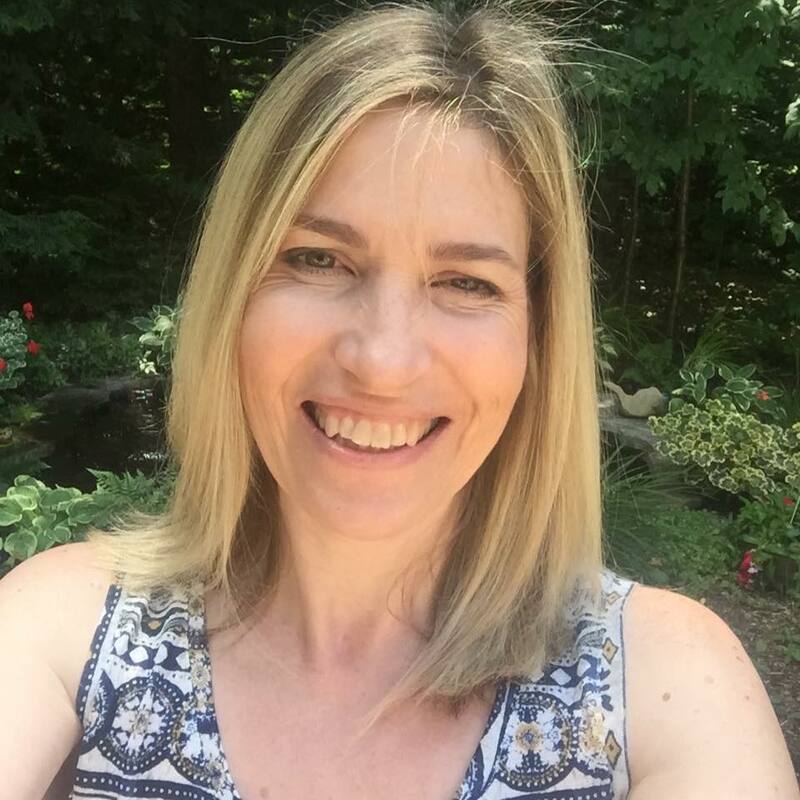 This is so fabulous Tracey! Love the embossed ship! Perfect Father's day card!! 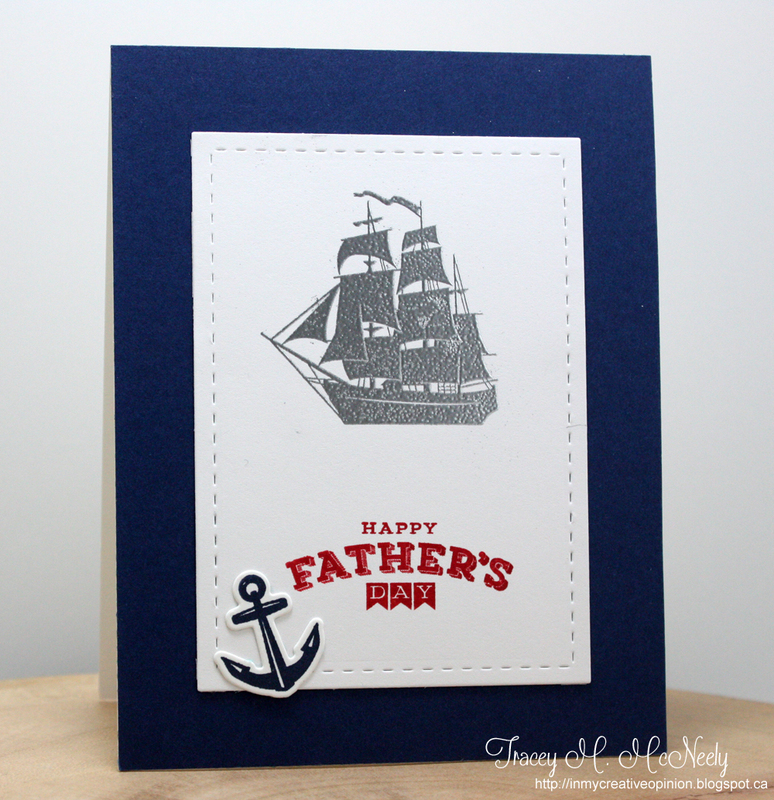 Such a classy masculine card Tracey, the embossed ship is perfect and I know your Dad will love it too! I'll echo the others in applauding and cheering this absolutely handsome (and yes, GORGEOUS) card you've made for your dad! The mega watt smile will be so delightful to see, because WOW, WOW and WOW! Love this! Love this classic and clean card Tracey! You asked what red I use and it's the same as you SU Real Red. This is gorgeous! Love the silver embossed ship ! Absolutely fabulous masculine card Tracey! CAS to perfection! Tracey the embossed ship is so classy! Love your Father's Day card, it is perfect in every way! flaweless. perfectly masculine and strong.